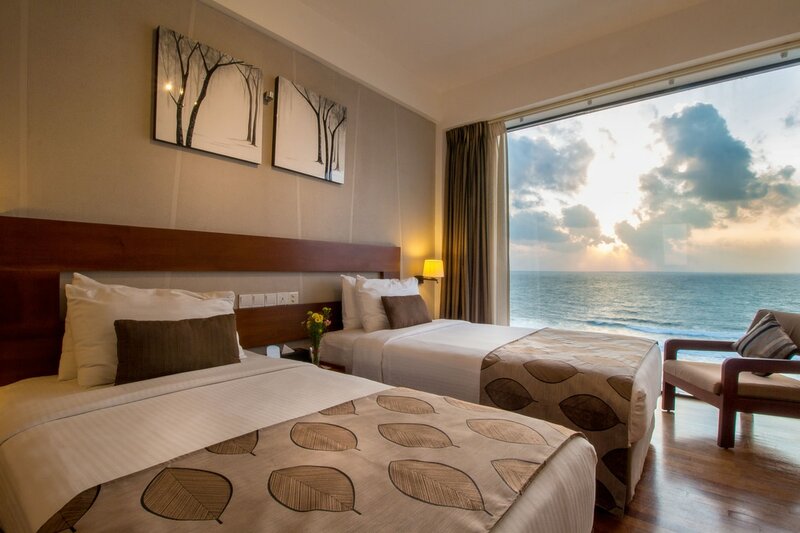 The Charm room features a premium king-sized bed, a bold vision and exacting eye for detail, but in a quieter, more private key the room is draped with the interiors, having a blend of green, and white, walnut shade wood work. You are sure to cherish the charm of this room. 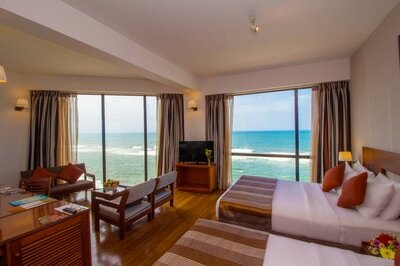 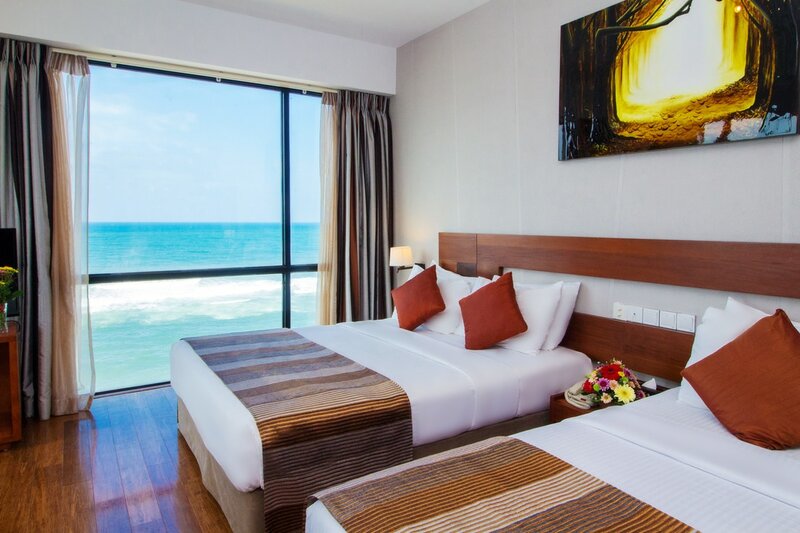 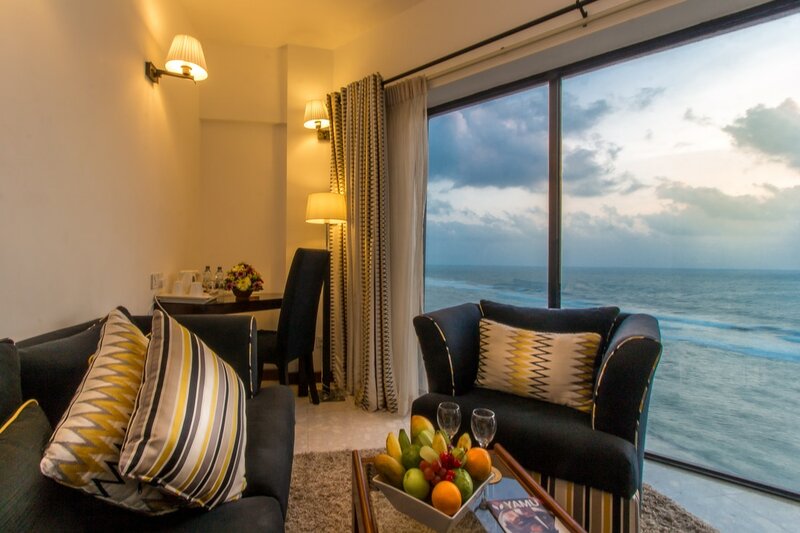 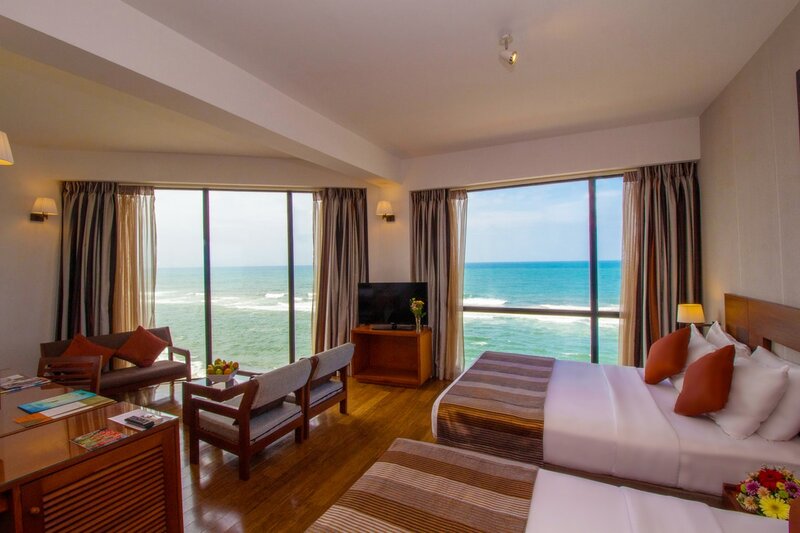 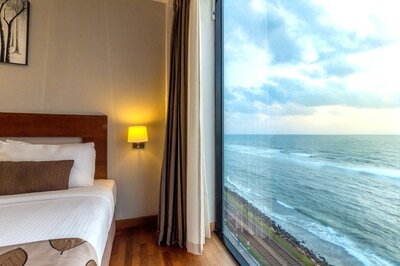 With Spacious 40 sqm and separate sitting area , two premium Queen Size beds, the view is so good that we’ve extended it to the shower area giving you the liberty to shower whilst enjoying the dancing waves of the ocean, probably the best view from a bathroom in all of Colombo! 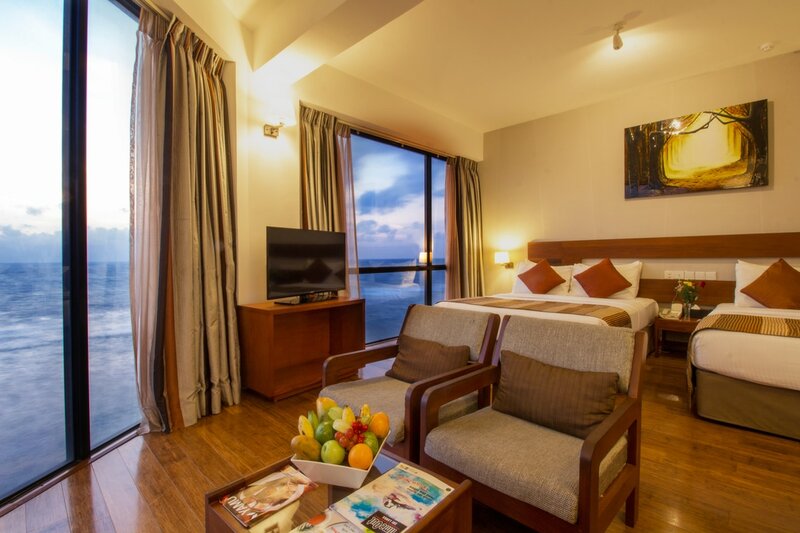 With a colour palette of Brown, grey, orange and hues of Mahogany wood work and rich natural timber flooring the décor spreads a sense of peace & tranquility. 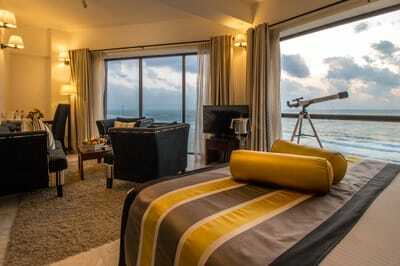 For those who have that Bold temptations we have the studio room on the 9th floor of the hotel. 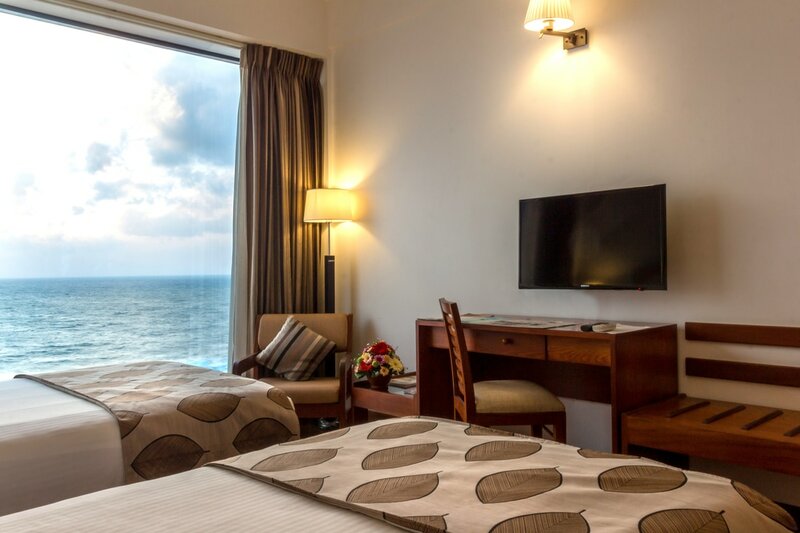 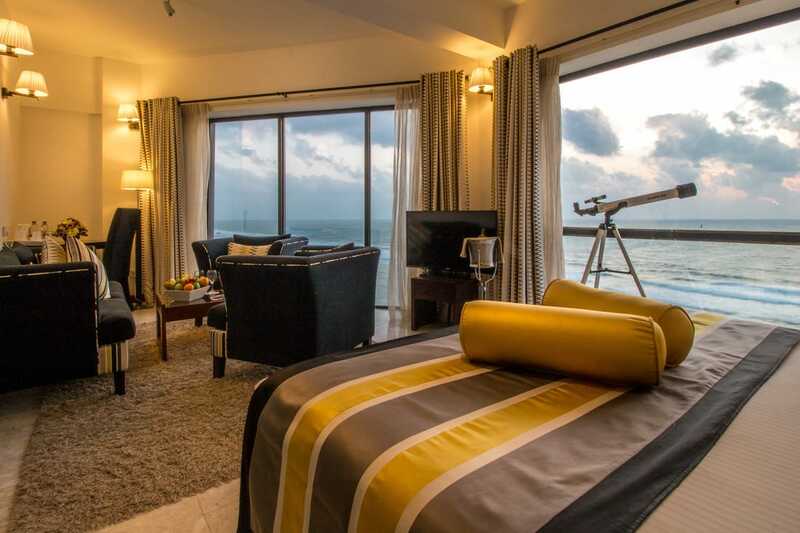 Being on the highest floor, the room provides the best views of the ocean –City view and direct ocean view is a combo treat to our discerning guest. 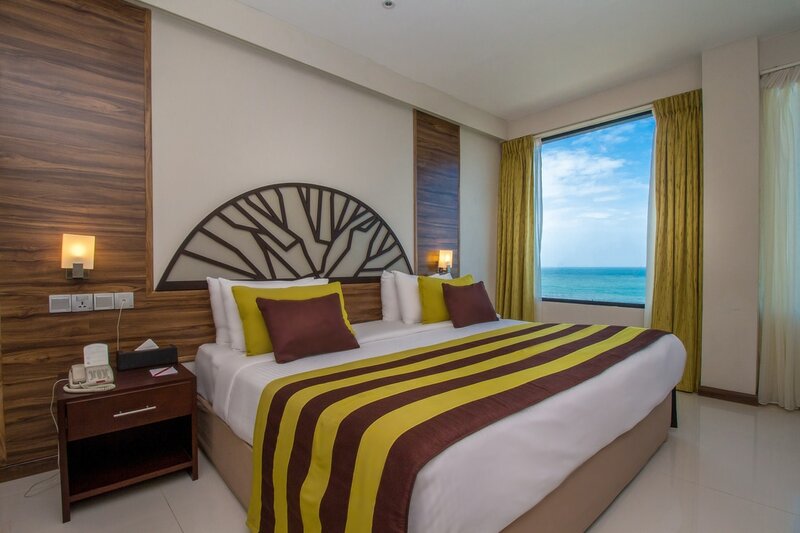 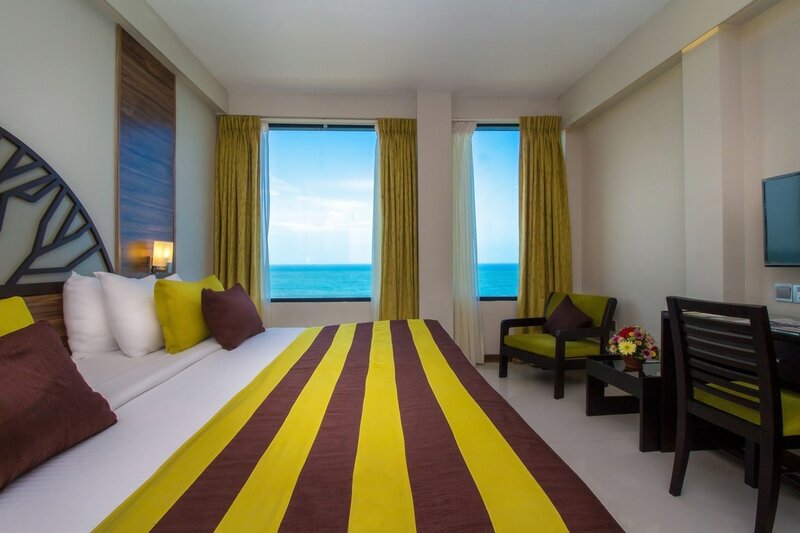 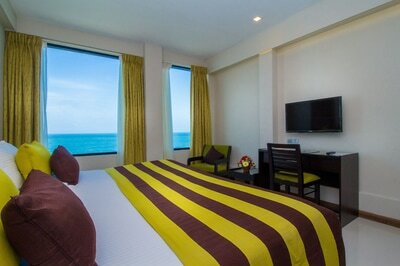 It gives you luxury of space with 40sqm, and separate sitting area and one Premium King size bed. Beaming bright with a colour palette of white, yellow, grey and black, sheathed with White Marble flooring the décor is posh and sophisticated. Specially designed furniture complement the plush interiors. Brace yourself for the unexpected……. 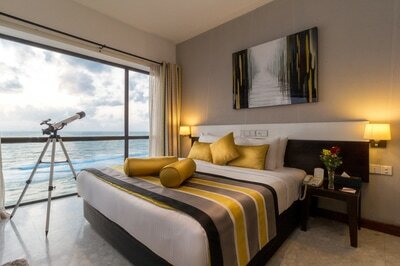 yet welcoming.